Hacking Chinese on Patreon: Support me and get awesome rewards! 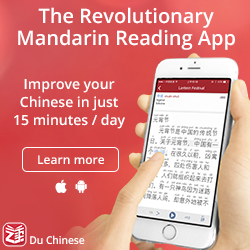 Hacking Chinese was launched six years ago and since then, I’ve published at least one article per week, adding up to more than 300 articles about how to learn Mandarin in a better way. In addition to weekly articles, I also run Hacking Chinese Resources and Challenges. I would like to spend more time on Hacking Chinese, providing things such as a podcast, audio articles, articles in Chinese, practical exercises and so on, but the truth is that in order achieve this, I need your support! To manage this, I have set up a Patreon page where you can support Hacking Chinese and get awesome rewards in return. As you can see, I’m not a video person, but I still thought a video introduction would be more personal. The text below contains more details! Audio versions of new articles, recorded by me – I spend a few hours every day listening to novels, lectures and podcasts. Since I do this while doing other things, it frees up an enormous amount of time compared to if I had read the same material. Supporters get access to audio versions of new articles on Hacking Chinese, giving you more time to actually study Chinese instead. Here is a sample recording of How to talk about Chinese characters in Chinese. Practical exercises for each new article – Most articles I write analyse problems learners face and suggest how they can be overcome, but stop short of breaking it down into practical steps. Supporters get actionable exercises to maximise the gain from each article (not including updates, announcements and so on). Some of these can be done alone, some require a conversation partner or tutor. You can check one sample here, based on the same article as above. Priority access to review copies and test accounts – I receive a fair amount of review requests for books, apps and services, and can often get more than one. Apart from helping me get a better view of the product in question, you also get to try out products or read books for free. Availability is of course limited to the offers I get; first come first serve, but supporters get priority. Priority access to test versions of new products – When I create new products, I test them with a small group of students before the official launch, usually at a heavily reduced price. I have done this several times for my pronunciation mini course, as well as for my book and my video course. It’s first come first serve; supporters get priority access. 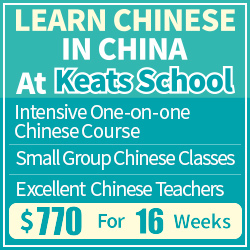 Access to Hacking Chinese Boot Camp – I have coached students learning Chinese for many years and this service is built on all the experience I have accumulated. The concept is simple: You first set concrete, measurable goals for your learning. Then, every two weeks, you report your progress and update your goals. I offer personal feedback in writing both on your goals and your progress. This is not a fully-fledged coaching service, but it’s invaluable if you find it difficult to get things done and need a nudge in the right direction. 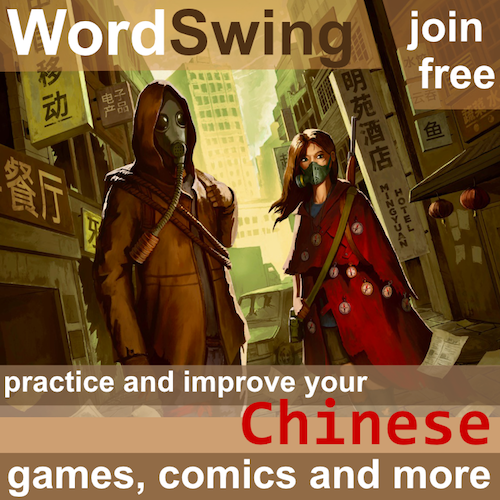 Your name on Hacking Chinese – To acknowledge how important it is for me to have you as a supporter, there are several rewards that involve having your name (or alias) on the About page (with or without a link), in the next version of my book or in the sidebar of the main site. If you run a project of your own, a link could give you a boost! You can see all the available rewards in the sidebar of my Patreon page. 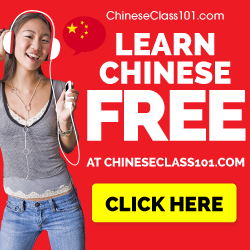 Hacking Chinese podcast – I love listening to all sorts of things, but especially podcasts and audio books, so creating a podcast about learning Chinese has been on my wish list for a long time. The details aren’t set in stone yet, but it will probably be mostly in Mandarin, focusing on language learning in general and learning Chinese in particular. If you have suggestions, please let me know! Bilingual website – I want to provide articles in both English and Chinese. This would be great for intermediate and advanced readers who could read in Chinese with the English version as support. It would also make the site more accessible to Chinese teachers, who often can read English but aren’t comfortable enough to read a lot of it. Extended resource and challenge sections – There are currently two subsections of Hacking Chinese: Resources and Challenges (see below). While both are functioning well and useful for students, they could become much more valuable if I invested more than just the minimum to keep them running. There are of course more things I want to do, including those that are now included as rewards. For example, I want to offer most of Hacking Chinese in audio to make it more accessible and save valuable reading time for students. Gradually building up a library of exercises will also make it easier for students to implement the content into their study routines. All these projects take a lot of time and won’t be possible without support from people like you, which is why your support matters so much. Hacking Chinese Resources – This is a section of the main website collecting close to 400 resources for learning Chinese. They are sorted and tagged by difficulty level, target skill and type of resource. For example, you can easily find listening resources for intermediate learners, dictionaries for your phone or advice about how to learn tones. Hacking Chinese Challenges – Motivation is one of the main problems when undertaking a long-term project such as learning a language. Here I provide monthly challenges focus on various aspects of the learning process. You set a goal at the beginning of the challenge, then report and track your progress. So far, there have been more than 20 challenges focusing on reading, vocabulary, translation and so on. Tone training course – As part of my master thesis research, I’ve built a tone training course that helps beginners (and sometimes more advanced students) to hear the difference between the basic tones in Mandarin. This course is freely available and based on solid research into how adults learn tot hear the sounds of a new language. This list does not include smaller contributions such as my 100 most useful radical list, all HSK and TOCFL words sorted by tone and so on, but the point is that I do get stuff done if I have the necessary time and resources. This is why your support contributes directly to the future development of Hacking Chinese. Thank you! 謝謝！ 谢谢！ Tack!